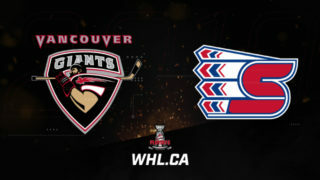 With the beginning of the 2019 IIHF World Championship in Vancouver and Victoria, B.C. 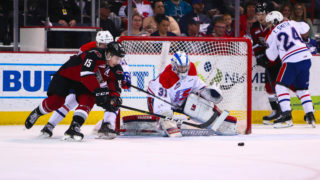 Wednesday, 17 players from the Western Hockey League have now taken part in the annual tournament of the world’s top junior players, representing their respective countries. Representing seven nations and 14 WHL member Clubs, nine of the players have already participated in the Division 1 Group A portion of the World Junior Championship while the other eight are currently in Vancouver or Victoria, B.C. participating in the highest level of the tournament. The Edmonton Oil Kings, Prince Albert Raiders, Vancouver Giants each have both of their import players attending the tournament while 11 other teams have sent a single player. 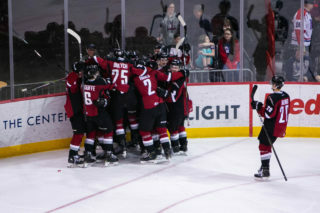 Overall, the WHL’s Eastern Conference is represented by 10 of the players while seven come from the WHL’s Western Conference. 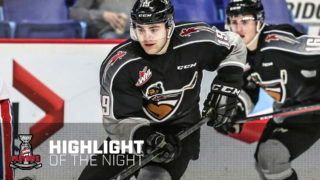 Regina Pats forward Sebastian Streu and Vancouver Giants forward Yannik Valenti helped their home country of Germany return to the top tier of the event, winning Division 1 Group A with a 4-1-0-0 record. Valentie recorded three points (2G-1A) in the tournament while Streu had an assist. Belarus finished second in the tournament, boasting six WHL players as part of their team. 2019 NHL Draft prospect Vladimir Alistrov recorded six points (2G-4A), leading all WHL players on his team. Kristian Roykas Marthinsen was the lone WHL player to suit up for Norway at the tournament, helping them to a third place finish with two goals. 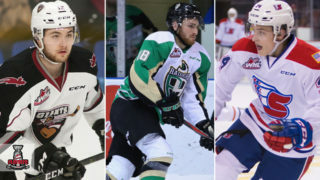 Three of the 17 players have been recognized by NHL Central Scouting on their ‘Players to Watch’ List ahead of the 2019 NHL Draft.